are very standard one. And I give more ingredients ideas here because you only see wakame and tofu miso soup in U.S. restaurants but not other vegetables in the soup. Japanese miso soup (味噌汁, misoshiru) is a traditional Japanese soup consisting of a stock called “dashi” into which is mixed softened miso paste. 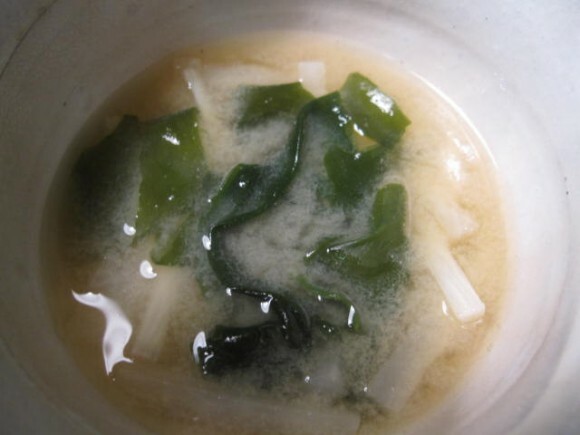 Although the suspension of miso paste into dashi is the only characteristic that actually defines miso soup, many other ingredients are added depending on regional and seasonal recipes, and personal preference. You can read more at Wikipedia Japanese miso soup page. 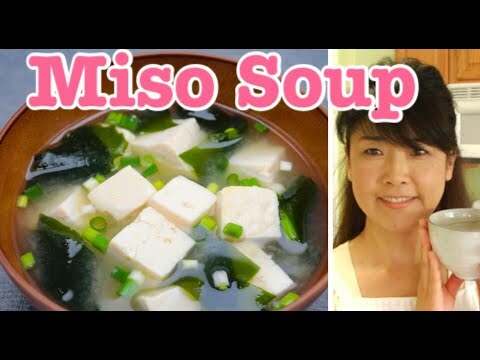 If you are woman, you should know how Miso is good for your body and especially. You will make Dashi first. 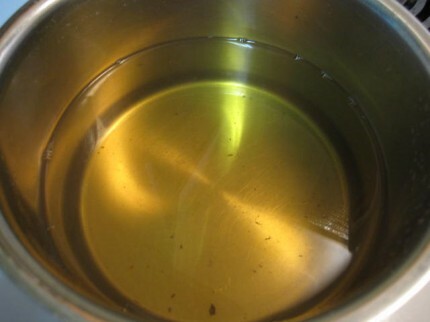 Dashi making can be made in a couple of different ways. This page, I use Niboshi. 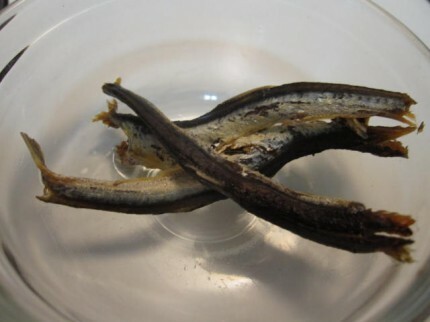 I also write about Katsuo bushi dashi. You can also make Konbu dashi. How to make dashi by Niboshi. I used niboshi this size for 6. If you have smaller one, please put more than 6. Put Niboshi in the water and simply boil it. You will see the golden color water and it will be done. I usually cook it about 10 min. 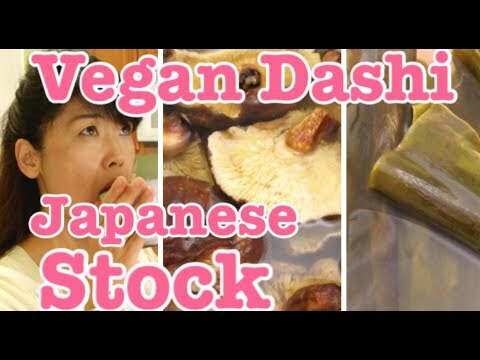 Also check my How to make dashi page to learn how to make dashi. You can use those katsuobushi dashi instead Niboshi dashi. When you make dashi, put in vegetables and cook it. When vegetables are cooked turn the heat off and put miso in the pot. Well, there are just some ideas of Japanese miso soup, but basically you can put in any vegetables. However, I have never seen celery in miso soup. It is not a standard Japanese taste. There are many vegetables and tofu, even meat, in the miso soup and it will be called by a different name. I will put this recipe in later. It is called Buta Jiru (pork soup).